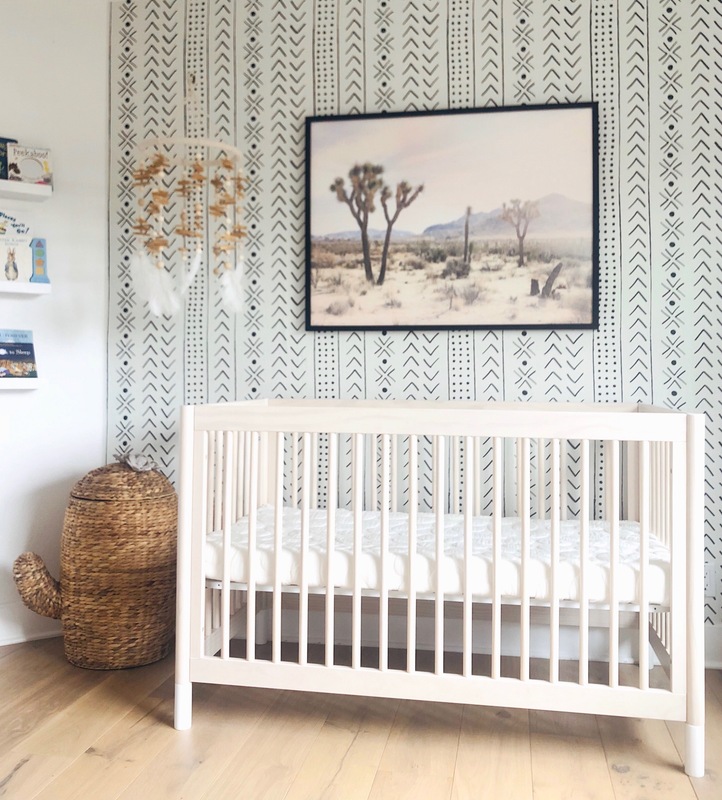 Mud Cloth Wall Mural: I partnered with Minted on a few pieces for the room. One was this cool mud cloth wall mural for an accent wall behind the crib. It comes in strips and just sticks to the wall. Jeff and his dad spent a few hours installing it one day. We love the way it turned out! Joshua Tree Art: Another piece from minted is this large framed art of Joshua Tree. It brings a lot of life into the space and I love that it’s something he can grow into and will never feel baby-ish. Crib: We’re big fans of Babyletto cribs and this is the one we decided on. 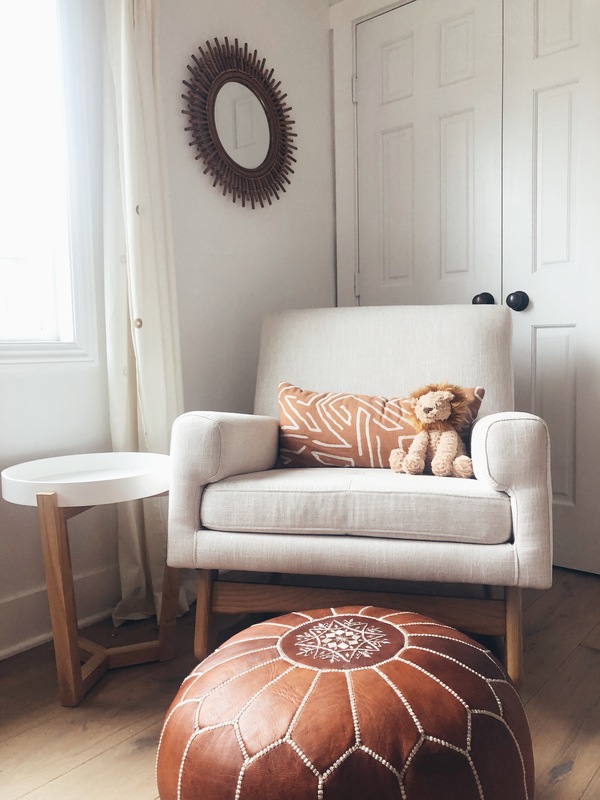 I wanted something different from what we have for Crosby (since she’s still in a crib) and love the way this light wood looks in his room. Mobile: I ordered this mobile from Etsy a few months back. Love how the wood and feathers look in the room. Cactus Hamper: This hamper was a hot item! Every time I shared it on IG stories it sold out, but Pottery Barn kept bringing it back. If you want it, I would suggest checking every few days to see if it’s re-stocked. Once they re-stock they go fast! Mattress: We went with the same mattress we had for Crosby, this one from Nook Sleep. It’s highly rated, breathable and so comfortable. Crosby has loved it and we hope baby boy does too. We’re waiting on our new rug and changing pad and still need new curtains. Other than that we’re done and it’s really coming together!